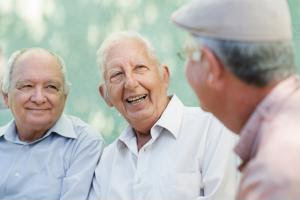 New research indicates that longevity may be extended with a little bit more laughter and some additional sleep. According to the Mayo Clinic, laughing is a great way to relieve stress. This is great to keep in mind as a senior care services provider, not just for the benefit of your clients but for your personal health as well. Short-term benefits of a good laugh include the stimulation of many organs like the heart, lungs and muscles, relieving the body's stress response and soothing tension. Long-term health benefits of laughter are a strengthened immune system, improved mood, increase in personal satisfaction and pain relief. Sleep is also important for those who want to live a long life. The National Health Institute reported that sleep plays a vital role in overall good health and well-being. A good night's rest will help protect your client's mental and physical health as well as their quality of life and safety. When the body doesn't get enough sleep, the brain can't function properly. Sleep allows the brain to get the rest it needs for the next day. Those who don't get enough rest can have trouble making decisions, solving problems and even controlling their emotions and behavior. Sleep is also important for those who want to live a long life. The National Health Institute said that sleep plays a vital role in good health and well-being. A good night's rest will help protect your client's mental and physical health as well as their quality of life and safety. When the body doesn't get enough sleep, the brain can't function properly. Sleep allows the brain to get the rest it needs to be prepared for the next day. Those who don't get enough rest can have trouble making decisions, solving problems and even controlling their emotions and behavior.